Wondering what the ride is like? 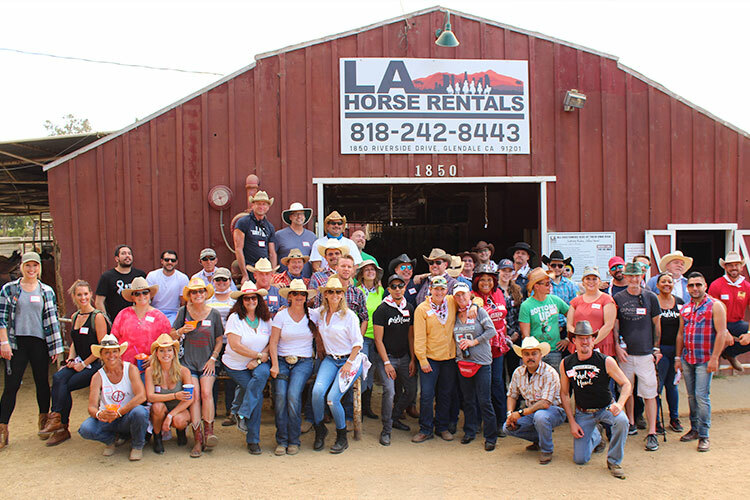 On July 13th we will all gather at the famous LA Horse Rentals barn in Glendale between 3:15 and 4:30 PM. Come on over to the sign-in table and get checked in! You will get your rider number, wristband, official event bandana, and enjoy some snacks and cool drinks. 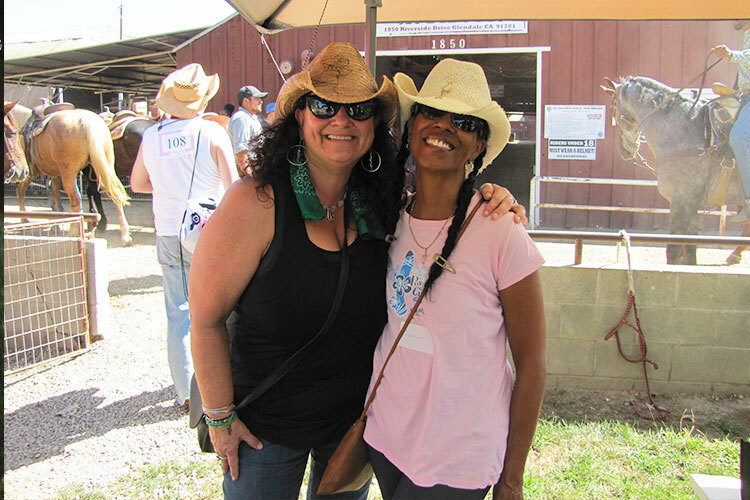 You’ll meet new friends and enjoy some fun photo ops! 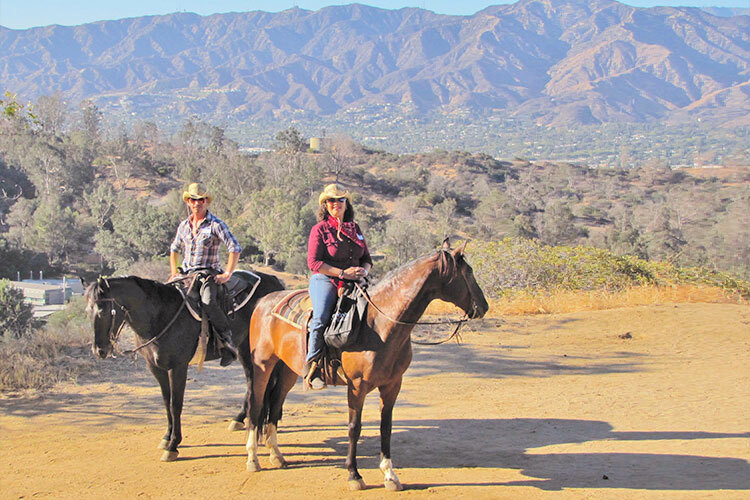 At 5:00 we’ll mount up and head out on the beautiful, scenic, casual, walking trail rides. We’ve got two for you to choose from! Our horses are gentle, kind and NO riding experience is needed! We will go over a few things before we head out. There will be plenty of experienced guides to help you along the trail! We also have some great Rider Tips to help make your ride more enjoyable. If you own your own horse, GREAT bring ’em! If you don’t own your own horse, NO PROBLEM!!! We have 50 available! You don’t have to ride to participate! You can be a virtual rider, still help by Fundraising, Volunteer and Coming to the BBQ! Families, Friends and Non-Riders are very welcomed to join us, help raise funds and attend the Bar-B-Que! Raise $400. and get in the BBQ free! There are two ride choices, both guided and both offer great views! 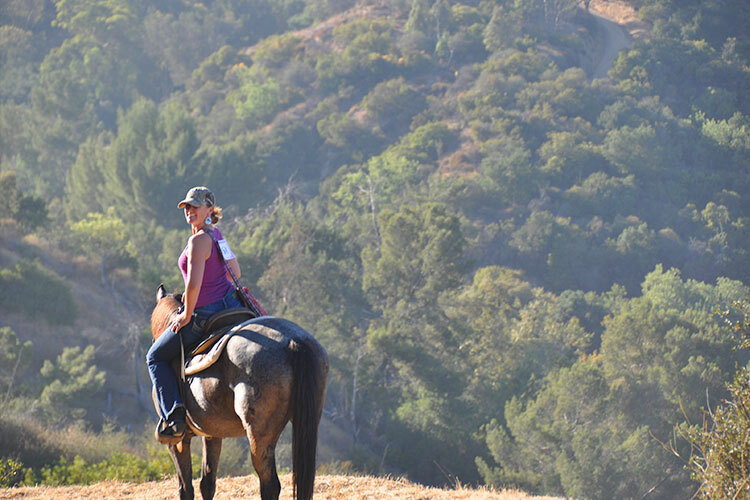 Option One – The scenic Mountain Ride which heads up into the hills of Griffith Park with vistas of the surrounding countryside. 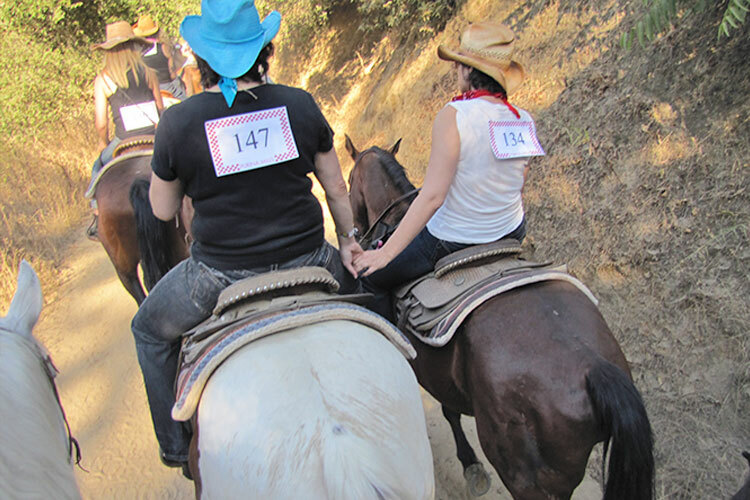 This option includes a watering stop at the top of the trail where all riders gather together before heading back down to the stables. 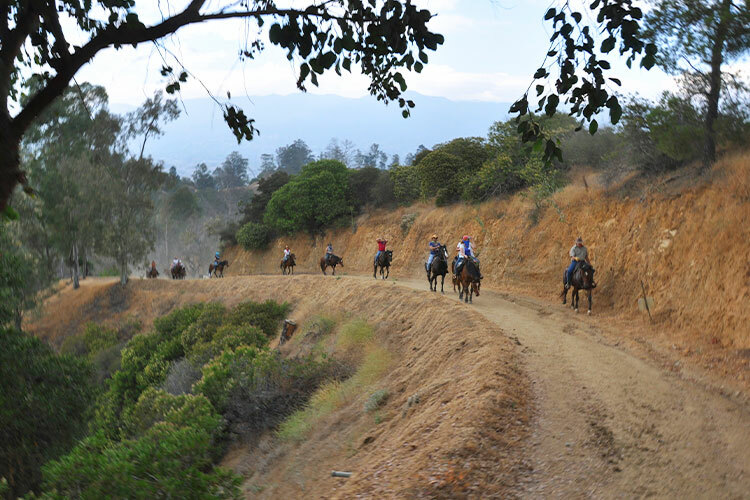 Option Two – The less challenging Poker Ride where riders weave through the lower trails of Griffith Park with four stops for riders to draw a card to build their best poker hand before heading back to the stables. Be sure to turn in your cards at the end of the ride for a chance at a special Prize. For each of the ride options we’ll be on trail for about two hours! And the day doesn’t end there! 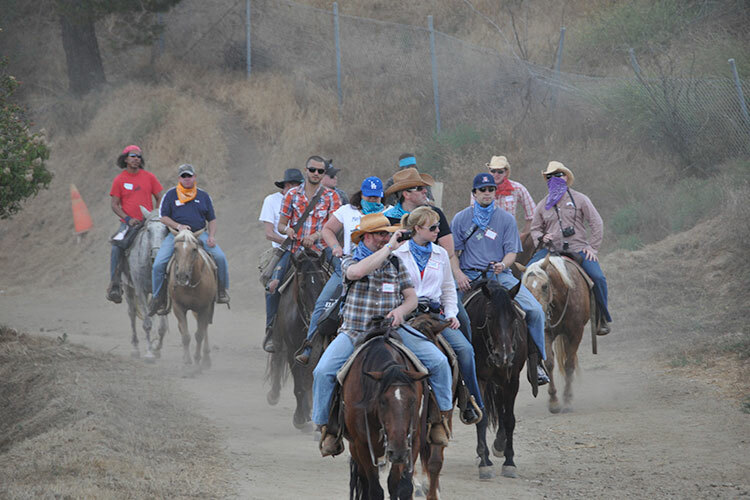 We will return about 7:00 PM and after building up a horse size appetite on the trail, you’ll head on over to the nearby Pickwick Gardens just a few blocks away for a Country Style BBQ Dinner! At the BBQ dinner we will have lots of rootin’ tootin’ entertainment, exciting drawings, a silent auction filled with unique items and present some very special awards to our riders and fundraisers. Additional details will be emailed to you with your registration confirmation, and then again closer to the day of the ride. Please feel free to call us with any questions. All riders and non-riders are encouraged to register early! This helps us have enough at the Bar-B-Que and enough horses for the event! 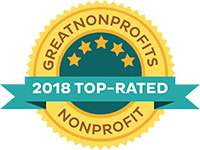 For additional info, please feel free to call Life Group LA toll free at 888-208-8081 or email Sunnie Rose at sunnie@saddleupla.org. I need to reserve a horse for the Trail Ride. 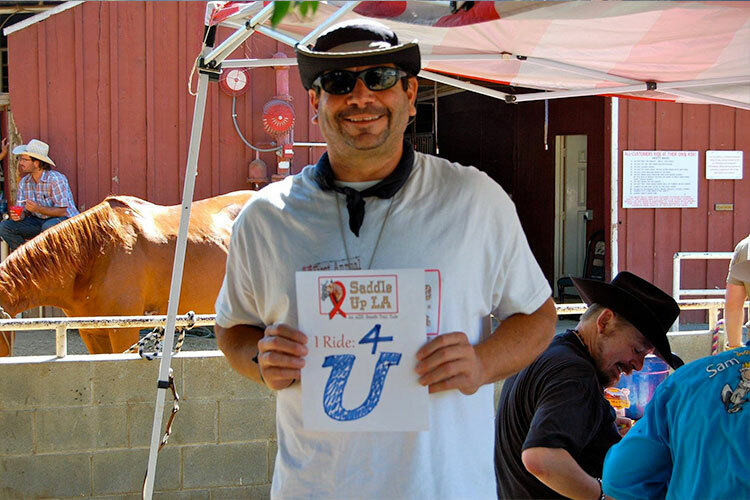 If you have ridden with us at Saddle Up LA in the past, we are offering you an additional discount in gratitude for your continued support! We appreciate your respect of our Honor System. I will bring my own horse for the Trail Ride. 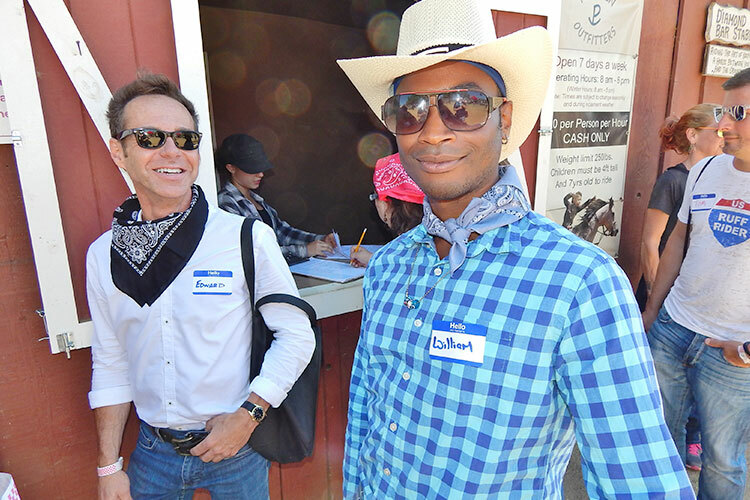 I want to register to help raise money, but not ride a horse. Raise $400 get into the BBQ Free! Select this registration if you need a horse provided for you. Select this registration if you will be bringing your own horse. Once you have purchased your tickets we will confirm receipt and your name will be held at the check-in/will-call table at the event. 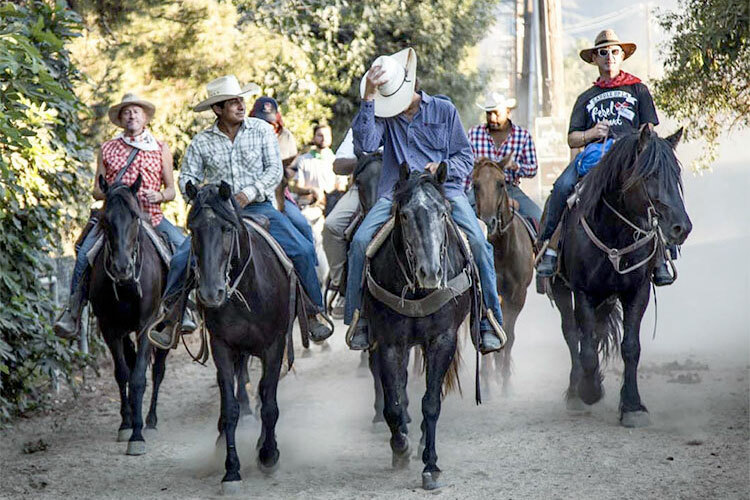 If you have special instructions that go with your tickets, please follow your online payment with a note to info@saddleupla.org with “BBQ Ticket” in the subject line.